The slopes can be a dangerous place. Common sense and some simple guidelines can help to keep you safe and give you the best experience on the mountain. Snowboard safety is often the last thing on people’s minds when trying to enjoy their day on the slopes or charging with friends. Lack of awareness and safety knowledge often results in poor decisions being made that can lead to injuries and a holiday being cut short. 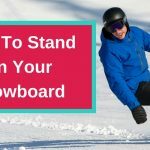 The 15 snowboard safety guidelines in this article will help you be alert, aware and have the most fun on the slopes. Don’t write cheques that your ability can’t cash. 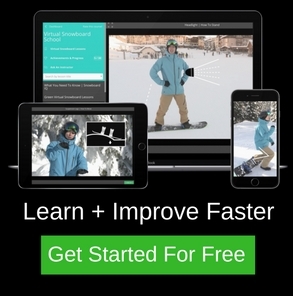 It’s disturbingly common to see snowboarders over-estimate what that can do and what runs they can safely ride in control. Before you ride a run, always ask yourself if you can stay in complete control in that style of terrain. 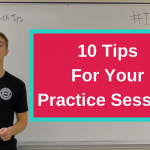 Can you confidently control your speed and stop at any time? Keep in mind an alternative route in case you get into any trouble. Keep to the side where you won’t interrupt other slope users if it’s not possible to exit. You could put yourself at risk by missing important signage on the mountain. Ski patrol puts all signs up for a specific reason – Your snowboard safety. Never ignore a closed sign or roped off area. If you have an accident in this terrain your insurance coverage may be void and you could be facing an expensive rescue. Weather conditions can change in an instant. It’s better to take a layer off if you don’t need it than want it and not have it. There is nothing worse than being chilled to the bone. Try wearing good technical thermals that can wick sweat and regulate your temperature. They can be a little more expensive, but definitely worth the money. Helmets are lifesavers that offer protection and cushioning against head blows. It’s highly likely that you will ring your bell at least once when snowboarding due to a learning curve and trying new things. When it comes to snowboard safety, it’s always better to be safe than sorry! The padding at the back of the helmet gives crucial cushioning that can reduce the amount of neck snap and impact on a nasty heel edge catch. Entering the trees without a helmet leaves you vulnerable to being hit in the head by branches and getting your goggles/hat snagged off. Helmets provide undeniable safety and confidence, so it should be second nature to put one on! 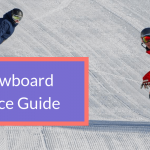 Here are some statistics on snowboard safety from the National Ski Areas Association and the American Academy of Orthopedic Surgeons. Every lift should have signage that shows what ability of runs it services. Always be sure to check the ability signs before you hop on the lift. You don’t want to get to the top and realize you don’t have the skills or confidence to get down. Be sure to move out of the way when you dismount at the top, so you don’t block the run-out. Get a safe distance away from the lift before you strap into your bindings. Other people will have a much easier time getting off the lift and the chance of a collision will be reduced. Some may even panic seeing people congested in the lift run-out. You definitely don’t want to be ploughed into from behind by someone coming off the chair. Respect the slow sign! The slopes are filled with skiers and snowboarders who have a wide range of ability levels. Therefore, you must ride at the speed of traffic on the run, especially on greens and blues. The chance of an accident or collision is severely reduced when everyone is aware and respects the speed of traffic. Always remember people downhill have right of way. Snowboarders also have a blind spot on their heel edge so can’t anyone coming from behind. You can frighten beginners / less experienced riders by ripping past them to overtake. Give everyone plenty of room when overtaking because they can also make unexpected movements or turns. Be sure to anticipate and judge the turning pattern before passing. Always look up the slope before moving off to ensure that you are safe and not cutting anyone off. This is a simple safety manoeuvre that can easily prevent collisions. Whenever you want to stop or take a break, pull off to the side of the slopes so that you safe. It’s dangerous and inconsiderate to act as an obstacle in the middle of the run and force others to avoid you. Never stop underneath a roller / dip in the terrain. You can’t be seen by people above, making the chances of getting hit by another slope user incredibly high. It is one of the most dangerous mistakes you can make. Many will use rollers as jumps. By the time they are in the air, it is too late. The rider can not alter their course in any way, so if you are underneath it can often result in a nasty collision. Avoid trying to make slow turns under a roller, clear the danger zone as quick as you can. If you value your health this guideline is non-negotiable. On cat tracks / narrow runs try to stick to one side, making shorter turns. Big, wide turns can cut others off and make it awkward to pass you. Don’t leave your board lying on a flat base. Flip your board upside down when you take it off because the bindings will act as a brake in the snow preventing it from flying off down the hill like an unguided missile. If you don’t know the mountain well, it’s important to ride with a trail map in your pocket. It can help prevent taking a run your not comfortable with or give bearings if caught in a white out / blizzard. Alcohol impairs your judgment as well as your coordination, speed and depth perception. It can make you overconfident and take a risk that you normally wouldn’t. It’s a dangerous mix with a plank of wood strapped to your feet. One or two beers at lunch can be ok, however, try to leave the heavy drinking for the apres ski! 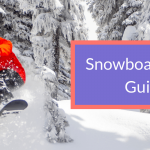 These easy to follow guidelines on snowboard safety will ensure you have the most fun possible when out on the mountain. In conclusion, follow the guidelines, stay safe, prevent injuries and be a considerate mountain user for others.